Antioch (formerly, East Antioch, Smith’s Landing, and Marshs Landing) is a city in Contra Costa County, California. Located in the East Bay region of the San Francisco Bay Area along the San Joaquin-Sacramento River Delta, it is a suburb of San Francisco and Oakland. The city’s population was 102,372 at the U.S. 2010 census. Antioch is one of the oldest towns in California, having been founded in 1850. The year following the discovery of gold, there was a plague that over-took the city and wiped out most of the population. The town was founded by two brothers, William and Joseph Smith, who named the town Smith’s Landing. In 1851, the town’s new minister persuaded the residents to change the name of the town to Antioch, for the Biblical city of Antioch, Turkey. Around 1859, coal was discovered in several places in the hills south of Antioch and coal mining formed the first substantial business apart from farming and dairying by the inhabitants of this community. This new industry resulted in the founding of the towns of Nortonville, Somersville, Stewartsville, and Black Diamond (now Pittsburg, California), and added greatly to the economic activity of the Antioch area. The Empire Coal Company was formed by John C. Rouse and George Hawxhurst in 1876, which built a railroad that passed from Antioch toward the mines over what is now “F Street” (formerly Kimball Street). However, later on, both the mine and the railroad passed into the hands of the Belshaw brothers. The mines have long ago ceased operation, and the railroad tracks have been dug up, though the building that served as the Antioch terminus of the railroad still stands on the corner of F Street and Fourth Street, and the grading and trestles still remain much as they were in those early days. In 1863, a great excitement arose over the discovery of copper ore near Antioch. Smelting works were built at Antioch, and a value of fifteen to twenty-five dollars per ton was paid for the ore, according to its quality. Unfortunately the copper bubble eventually burst, to the dismay of the citizens with connections. Petroleum was first drilled for near Antioch in 1865, but not enough oil was found to make a decent profit. The Antioch Ledger was first issued on March 10, 1870, and in all its forty-seven years never missed an issue. In memory of when the paper was formed, a copy of its first issue has been framed and hangs over the desk of the present editor. It is five by eight inches in size, printed on one side only, and its sole news item is a report and editorial comment on women’s suffrage meeting that had just been held in the town. The Ledger later merged with the Contra Costa Times and printed its last issue in 2005. During the mid 1950’s the Fibreboard Research patented a method of applying wax coatings to cardboard containers that spawned the first milk, juice and ice cream containers hence making Antioch “the home of the milk carton”. Today, Antioch is mainly a “bedroom” community, with most adults working in larger cities toward Oakland and San Francisco. 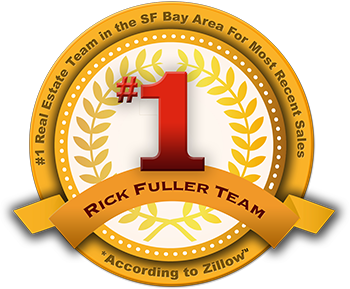 The town has seen an enormous amount of growth in the last 30 years, as the population of the Bay Area continues to grow, and real estate prices force families to move towards the outskirts of the Bay Area. Antioch is located at 38°00?18?N 121°48?21?W, along the San Joaquin River at the western end of the San Joaquin-Sacramento River Delta. According to the United States Census Bureau, the city has a total area of 29.1 square miles (75 km2), of which, 28.3 square miles (73 km2) of it is land and 0.7 square miles (1.8 km2) of it (2.52%) is water. The 2010 United States Census reported that Antioch had a population of 102,372. The population density was 3,520.0 people per square mile (1,359.1/km²). The racial makeup of Antioch was 50,083 (48.9%) White, 17,667 (17.3%) African American, 887 (0.9%) Native American, 10,709 (10.5%) Asian (5.7% Filipino, 1.4% Chinese, 0.9% Indian, 0.7% Vietnamese, 0.2% Korean, 0.2% Japanese, 0.1% Laotian, 0.1% Pakistani, 0.1% Cambodian), 817 (0.8%) Pacific Islander, 14,310 (14.0%) from other races, and 7,899 (7.7%) from two or more races. Hispanic or Latino of any race were 32,436 persons (31.7%); 22.6% of Antioch is Mexican, 2.2% Salvadoran, 1.2% Nicaraguan, 1.2% Puerto Rican, 0.7% Peruvian, 0.4% Guatemalan, and 0.2% Cuban. The population was spread out with 28,807 people (28.1%) under the age of 18, 10,593 people (10.3%) aged 18 to 24, 27,459 people (26.8%) aged 25 to 44, 26,515 people (25.9%) aged 45 to 64, and 8,998 people (8.8%) who were 65 years of age or older. The median age was 33.8 years. For every 100 females there were 94.8 males. For every 100 females age 18 and over, there were 91.7 males. There were 34,849 housing units at an average density of 1,198.3 per square mile (462.7/km²), of which 20,751 (64.3%) were owner-occupied, and 11,501 (35.7%) were occupied by renters. The homeowner vacancy rate was 2.7%; the rental vacancy rate was 8.2%. 64,284 people (62.8% of the population) lived in owner-occupied housing units and 37,424 people (36.6%) lived in rental housing units.